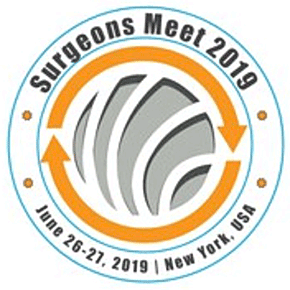 5th International Surgery and Surgeons Meet will be organized on June 26-27,2019 in New York, USA. The conference highlights the theme “Disseminating advance research and Innovative Technology in the field of Surgery”. Surgeons Meet 2019 aims to gather leading surgeons, eminent scientists, research scholars, students along with industrial and pharmacy professionals to express their views on the latest technologies for future Surgery research. The event is designed in a way to provide an exclusive platform for new researchers, scholars, and educators to present and discuss the most recent innovations, technologies and also address their issues being faced during the surgery. 5th International Surgery and Surgeons Meet is a two-day conference concentrating on oral talks, Poster presentation, Interactive Sessions & special keynote sessions conducted by the renowned and eminent speaker on surgery. The conference provides surgery offers amazing cooperation between humans and technology, which could elevate the level of precision and efficiency of surgeries so high we have never seen before.